I have unistalled and reinstalled the Ubuntu Software Center as per info I found in a similar thread and I got the same response about line 91 or something like that. E: The package list of status file could not be parsed or opened. How do I report bugs? What can be done about this. I have searched and everything everyone says to do leads me back to the same line error message. So, I don't know how to get to line 91 in the source list; to tell you what it says. Sorry, I'm really new to this. That is what I need is to find out how to get there and fix what it says. I would really like to NOT have to re partition my hard drive and start from scratch, so I'm really looking forward to getting this problem solved. I need to be able to install new software. Some lines are broken in your sources.list file (or another *.list file in sources.list.d/). Edit the file mentioned in the error to fix the broken lines. If necessary, replace /etc/apt/sources.list with another file name. The URL, distribution and components will be different. It does not necessarily have to have 3 components. Anything which doesn't fit this format is incorrect. Assuming there are no errors, the problem is now fixed. You should be able to run the Sofware Center. However, while some problems with the Software Center can be solved by reinstalling the software-center package, most cannot, so it's possible your original problem will remain. If that is the case, you can post a new question to get help with it. A workaround for this problem can be building the sources.list entry from scratch. Copy the above content (in grey box) and open the sources.list file as root. Typing sudo -H gedit /etc/apt/sources.list this in a terminal and hitting Enter will do the job. Then paste the copied content in the sources.list - note you probably will need to replace precise with the codename representing your Ubuntu version - e.g. trusty for 14.04. Then save and close gedit. Then do sudo apt-get update and you will see that the repository list is updated. Explanation: Here we are completely replacing the content with another sources.list file with repository entry from Main Server. If you want to use your local server for sources.list see the method below. Go to the Ubuntu sources list generator site. Select your desired branches, such as Main, Restricted, Multiverse, Universe. Select any third party repository list if you wish. Click Generate list at the bottom of the page, you will be given a list with repositories. Copy that list and replace with sources.list file you have. The way to solve this would be to fix the malformed line 91 entry. This can sometimes be a very easy fix, but you must backup sources.list first since it's a critical file. If you see no errors appear when you try step 4, the problem is hopefully fixed. You can exit the terminal and go back to Software Center/Update Manager and it should work. If there is still a problem, you can restore the original file from the terminal with sudo cp /etc/apt/sources.list.backup /etc/apt/sources.list. In that case, please paste the problematic lines or even the entire file to a pastebin and then we can help out further. The file /etc/apt/sources.list contains the URLs of webservers and location of other sources form (e.g. cds), from which you retrieve your software and updates. It basically tells Ubuntu where to look for new Software and updates to already installed programs. The error message you got means, that somehow the file got compromised. Without knowing what the content of your file is, it is hard to know what exactly is wrong with it. So you should post the output of sudo more /etc/apt/sources.list for us to help you better. If the file is messed up beyond repair, you can use the Ubuntu Source List Generator to generate a sources.list anew. But you should backup your old one beforehand. Also this will cause you to lose all changes you have made for your Software Sources, e.g. in Sofware Center. If you face any malformed line error like below, i strongly recommend you to comment out(adding # before the line) the line rather than deleting it in /etc/apt/sources.list file. From the above error, the line number 91 in /etc/apt/sources.list file is corrupted. To comment out the line number 91, you have to run the below command on terminal. 91 in the above code represents the line number. Replace the number 91 in the above code with your's if you got any malformed line error. In this case i strongly recommend you to delete the google.list file by running sudo rm /etc/apt/sources.list.d/google.list and then add the corresponding PPA again. Finally update all the repositories by running sudo apt-get update command on terminal. Now the error won't appears. Please try to edit your sources.list file by dropping sudo gedit /etc/apt/sources.list in a terminal (your password may be asked), after which you will have the options to enable "Line Numbers" in the Menu Edit/Preferences of gEdit and clicking the "Display line numbers" checkbox, then manually go to the Line in your error e.g. 91 or by using "Search/Go to line" (Ctrl+I does the trick). At the beginning of the Line 91 drop two # symbols (##) to comment on that line and this way remove it from the update process (you can also delete that line at your own risk, I suggest you a backup). When you finish, save the file and close it down. Then open a terminal and run sudo apt-get update and see if the error still appears. If not, then try opening your update manager. Somehow it seems that the text in the Line 91 of your sources.list file is corrupted or there is some kind of an error, which means that some software is unable to be installed/updated/upgraded. By commenting/removing the erroneous line the software won't be installed (if not already) or won't be updated/upgraded if that's what you try. Of which I suggest you to check where is that line coming from (which software requires it) and do the proper modifications as required in order to everything run fine. Of course, just replacing your sources.list file with that text could be a very bad thing, especially if it looked quite different before. The key point is that each line starts with deb or deb-src (except for comments, which start with #). Open a terminal using CTRL+Alt+T and execute the below command to remove line 6, which is not correct form of repository source line, thus apt giving you an error about malformed line. WARNING: Don't execute this command without reading the question first, this command will delete the line 68 of /etc/apt/sources.list file. Check whether your problem is similar and, even if it is, replace 68 with the number of the line that you need to delete. This command will delete the line using sed in place. It makes a backup called /etc/apt/sources.list.old. If you don't want the backup then you can use plain -i instead of -i.old. 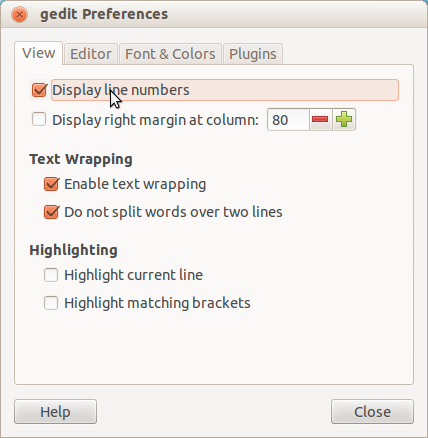 Alternatively, you can manually delete the line with Gedit. Press Alt + F2 and type gksu gedit /etc/apt/sources.list. Find the corrupted /etc/apt/sources.list and remove it. Type: deb is the type of repo, it indicates it is a binary repository, not a source repository, which has type deb-scr. Component: main is indicating the component of repository. Ubuntu repository are divided into four parts. Universe - These softwares are not supported by Canonical, but those are maintained by the community. Multiverse - These are also non-free softwares, and not supported by Canonical. You can now understand that /etc/apt/sources.list is not a repository source line and hence apt-get complaining about it. For more information about Adding and Removing repositories and the format of repository source line, See this Ubuntu Help page. See the Sed manual page here. How to search for specific lines in Linux? How to delete a line with spelling mistake (“source.list”line) in a software install in sudo? Malformed line in the source list /etc/apt/sources.list (dist parse), don't let me use update manager? How do I fix “malformed line” errors in sources.list? Malformed lines in sources.list - how can I correct them?